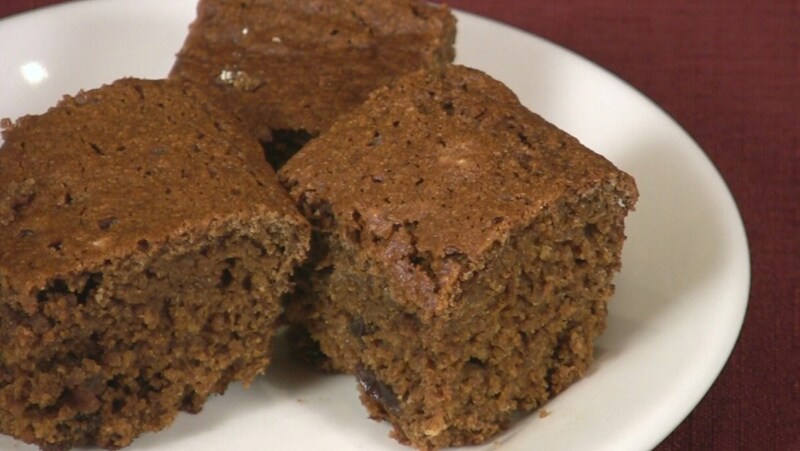 This gingerbread makes a wonderful, low-fat treat. Combine the water, sugar, raisins, cinnamon, ginger, nutmeg, salt, and cloves in a medium saucepan and bring to a boil. Boil for 2 minutes. Remove from the heat and let cool completely, either in the refrigerator for 45 minutes or in the freezer for about 15 minutes. Preheat the oven to 350 degrees F. Lightly mist a 9-inch square baking pan with vegetable oil spray. Combine the flour, baking soda, and baking powder in a medium bowl. Gradually stir the flour mixture into the cooled raisin mixture along with the molasses and non-dairy milk. Spread the mixture into the prepared baking pan and bake for 30 minutes, or until a toothpick inserted into the center comes out clean. Sprinkle with the optional powdered sugar just before slicing. Stored in a covered container, Gingerbread will keep for up to 3 days in the refrigerator or up to 1 month in the freezer.